Essex have signed seamer Oliver Newby on a month's loan from Lancashire. 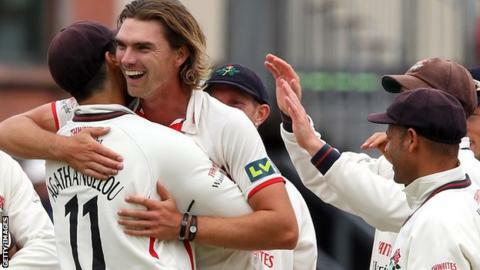 The 29-year-old fast bowler provides cover for David Masters and Graham Napier, who were both injured in last week's game against Gloucestershire. They have also recruited all-rounder Tanveer Sikander, 27, who plays Minor Counties cricket for Hertfordshire, on a dual-registration arrangement. Both players made their debut in the Championship game with Worcestershire, which started at Chelmsford on Sunday.